Ok, so please don't think I'm a hypocrite for posting about a brand redesign the week after warning against updating your graphics due to Shiny Design Syndrome. While constantly changing your graphics can be detrimental to your brand positioning & recognition, planning a strategic redesign can actually have the opposite effect and launch your business to the next level. But don't take my word for it, take my client's! 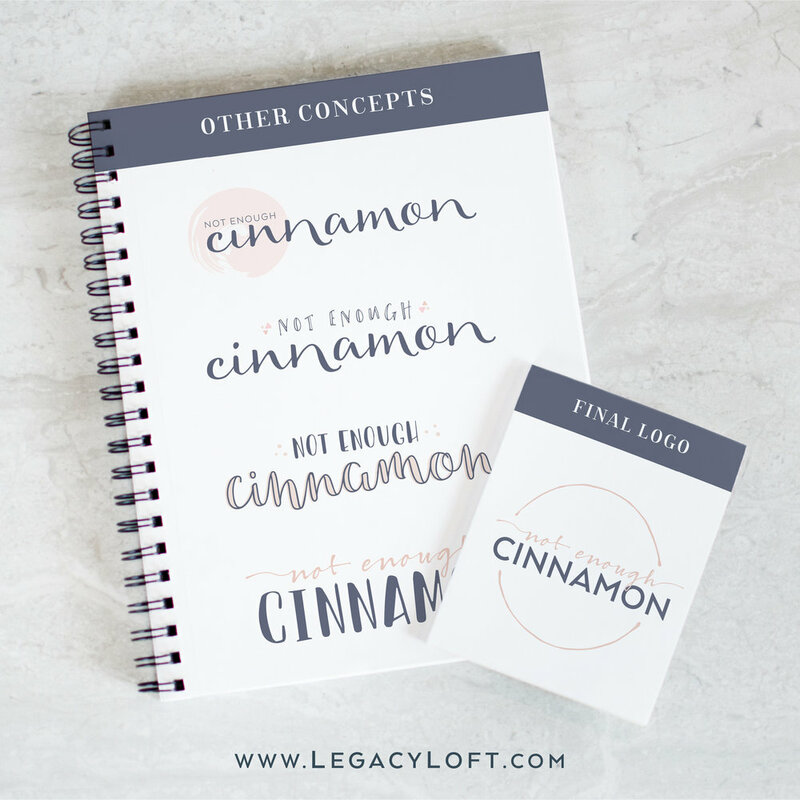 Check out this interview with Marie Chatelain of the Not Enough Cinnamon blog. What were the reasons behind wanting a new look & feel? 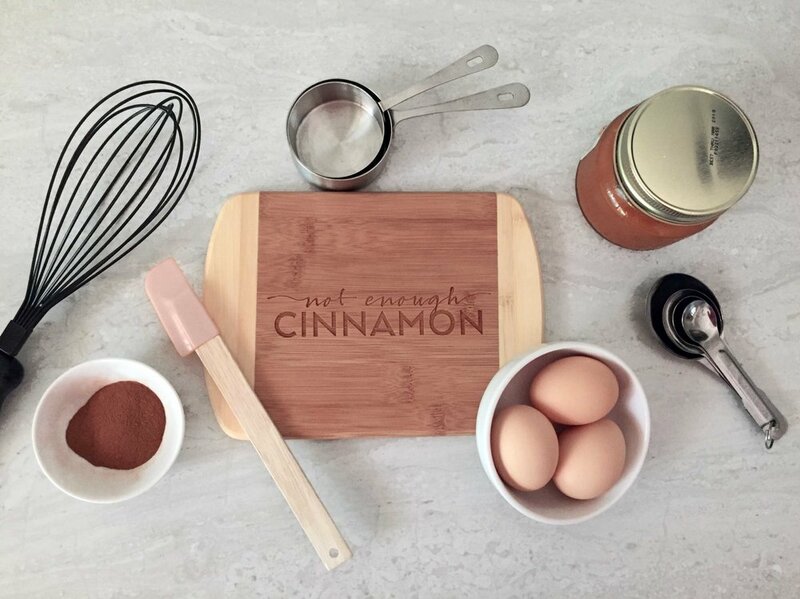 After 4 years of DIY designs and branding, I wanted Not Enough Cinnamon to look crisper and more professional. I wanted people to think "wow, this website is legit!" when visiting, and thus engaging and subscribing more. I put together a new content, marketing and overall business strategy and I wanted my new design and brand to support that change. And honestly, I was so sick of my previous design that I didn't want to look at it any longer lol. 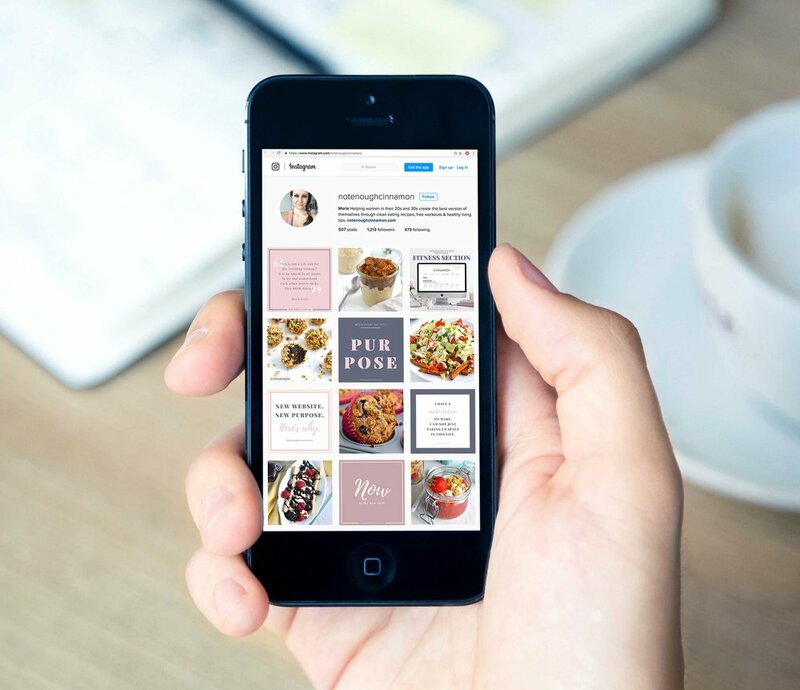 What do you like best about your new logo, blog graphics & social media templates? They fit my target audience perfectly. They are not only super pretty (I get compliments about my logo all the time! ), they also support my brand and attract exactly the kind of people I want to attract. And to me, this is extremely valuable. What advice would you give to others who are looking to rebrand? First, think about who your target reader/customer is. Write down a very detailed profile: who she is, where she lives, what she does for a living, what are her hobbies, where she likes to hang out and so on. You can even name her and pick her favorite ice-cream flavor if you want! Not only will this help you tremendously for your marketing and content strategy, but it will be super valuable for your designer who will be able to work her magic and design something that will speak to YOUR crowd. Any tips on working with a designer? When you start talking with a designer, make sure everything is very clear from the beginning: the price, what it includes, how you'll be working together and the timeframe. It shouldn't be a mystery. If you have any questions, ask away. Then, try to give your designer as many details as you can regarding the styles you like and don't like, your business goals, your target client and so on. The more details you give her, the more chance you have to be blown away by the result and get a great return on your investment. Have you noticed any spikes in engagement on your website, sales (if applicable) or social media since rebranding? You bet! I've seen a 117% increase of email subscribers in just one month after launching my new website. Talk about amazing ROI!! I've loved working with Lauren, because she was super transparent about her process and costs, and her work is not only beautiful, it also fits my audience perfectly! THINK YOU'RE READY FOR A REBRAND? I hear it all too often... you have big plans for your business but your branding is holding you back from the explosive growth you crave. Your DIY or amateur branding got you started, but with recent growth and shifts, you need to connect with your clients — and the right clients — at a deeper level. Hun, it's time for a rebrand. Show off your authority status with professional branding that will take your business to the next level.